A mobile application requirement document is also known as a product specification document. It is nothing but groundwork of your mobile enterprise app. It also gives you an outline of about business logic, enlists the technical detail and also works as a guide for your development team from initial concept stage to the endpoint. See the applications which already exist in the current market. So, that it will help you to identify what feature you would want to have in your application. 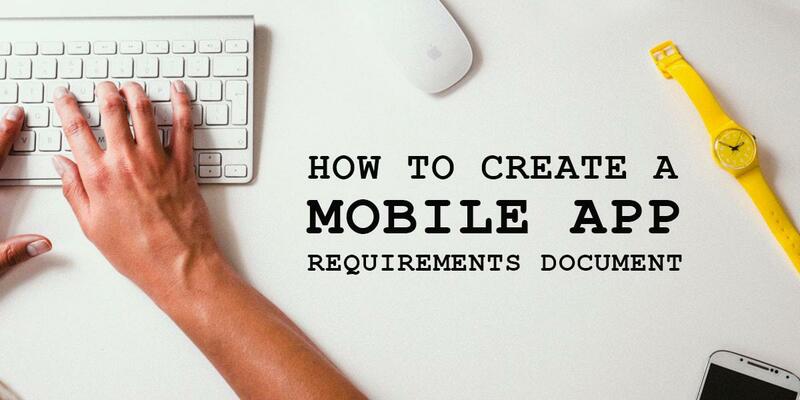 For instance, if you like a specific element in an app, then you can even add it your mobile application requirements documents as well. While making mobile application development requirements, the primary focus should be on functions of the mobile app instead of the color of buttons, etc. because these details can be taken on a lesser priority. You can even skip this detail as an end user's priority to know, whether your application can solve their problems or not. The goal of creating a mobile app development requirement document is to provide a foundation for a successful product. So, mapping out business and technical requirements, dependencies, etc. will give you excellent information about the project. Therefore while development; questions are bound to come, even if questions are not answered in the document, still you have to make sure to add them to avoid any miscommunication. So, during the process of defining a product, it is always important to keep the focus on delivering higher value to the marketplace because it is easy to get distracted by competitors, vocal customers, and architectural issues.